Mark “Oz” Geist is a member of the Annex Security Team that fought the Battle of Benghazi, Libya, from September 11 to September 12, 2012. In 2004, Mr. Geist began doing contract security work in Iraq. He worked for Triple Canopy, providing Personal Security Details for Department of State personnel in Baqubah, Iraq. Upon the completion of that contract, he worked for USIS, the United States Investigative Services, training Iraqi SWAT teams and Personal Security Details. He also served as a mentor/advisor to the Personal Security Detail of Dr. Ayad Allawi, the former Prime Minister of Iraq. Mr. Geist finished his career as a security contractor in Benghazi, Libya, where he was credited with helping to save the lives of more than 25 Americans. Mr. Geist is still recovering from the injuries he sustained in the battle. 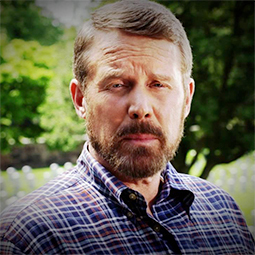 He is a co-author of the best-selling book, 13 Hours: The Inside Account of What Really Happened in Benghazi.